Stoneridge Inc. has requested an exemption to allow motor carriers to operate commercial motor vehicles with the company’s MirrorEye Camera Monitor System installed as an alternative to the two rear-vision mirrors required by federal regulations. Stoneridge said it has developed, tested and manufactured the digital camera system to improve safety by providing truck and bus drivers with an enhanced field of view. The company states that its camera system meets the performance requirements provided for conventional mirrors under National Highway Traffic Safety Administration standards, which are cross-referenced by Federal Motor Carrier Safety Regulations. “Stoneridge believes the exemption would maintain a level of safety that is equivalent to, or greater than, the level of safety achieved without the exemption because the camera monitor system meets or exceeds the performance requirements for traditional mirrors,” according to a Federal Motor Carrier Safety Administration announcement in the April 5 issue of the Federal Register. FMCSA has requested public comment on the exemption application through May 7. Stoneridge said the MirrorEye consists of multiple digital cameras mounted on the exterior of the CMV and enclosed in an aerodynamic package that provides environmental protection for the cameras and a mounting location for optimal visibility. Each camera has video-processing software that presents a high-definition image to the driver by means of a monitor mounted to each A-pillar of the CMV — the structural member between the windshield and door of the cab. The company said its system offers a greater field of vision, fail-safe design and enhanced vision quality. 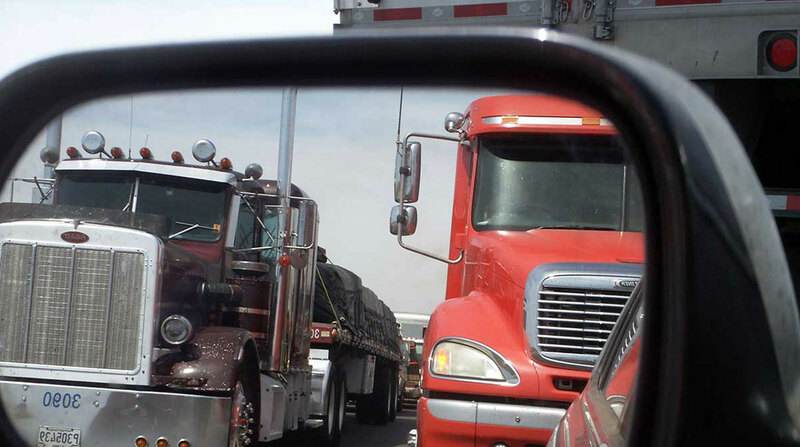 Stoneridge said it also believes use of its camera monitoring system may help reduce driver fatigue by requiring less head movement compared with the number of head movements needed to use conventional mirrors.